The US Federal Government is set to release the results of their 10-month investigation into the Toyota acceleration systems possibly responsible for the unintended acceleration incidents that have cost people their lives around the world. The initial portion of the study of the Toyota accelerator system found no flaws in the electronics system as recorded by the vehicle’s “black box” data recorder but with the help of NASA and the NHTSA, the government has spent nearly a year taking a closer look at the electronics systems of the Toyota vehicles responsible for so many vehicle recalls. The government has declined any comments leading up to the official release of the investigation findings but we can expect a full rundown of the results today. Depending on what the government investigation into the Toyota unintended acceleration issues finds, this report could help Toyota get one step closer to moving past this whole issue but should they find that there is indeed an electrical problem of some sort, Toyota’s problems are only going to get worse. 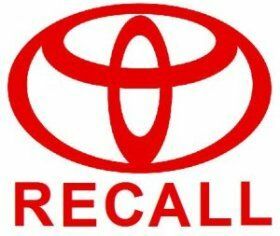 Once these findings are released, we can certainly expect more of the unintended acceleration lawsuits to commence and when they do, it could be far more expensive for Toyota if their components are found to be faulty. No timeframe is available as to exactly when the results of the government Toyota investigation but by the end of today, we should have a look at how good or bad the automakers 2011 will be. Stay tuned to TorqueNews.com as we continue to follow this story.